This article is sponsored by TaxAct, and updated from the original post on January 8, 2019. Tax season has officially begun. Starting January 28, 2019, taxpayers may begin submitting 2018 tax returns to the IRS. Although the tax filing deadline isn’t until April 15, it’s still a good idea to get started on your tax return early — especially because this’ll be the first year when taxpayers will be dealing with the effects of the Tax Cuts and Jobs Act. This tax reform bill includes an increased standard deduction, newly-eliminated deductions, adjusted tax brackets, and more. Use this guide to learn what to do before you do your taxes, and how both the government shutdown and the Tax Cuts and Jobs Act might affect your 2018 tax return. The government shutdown has temporarily ended. A short-term spending bill to reopen was passed last Friday. That bill, however, has an end date of Feb. 15, which means the government will partially shut down again if further agreements are not made in Congress. Regardless of the ongoing government activity, the IRS will process tax returns and issue refunds as normally scheduled. Taxpayers should still plan to prepare and file their tax returns by the April 15 deadline. If the government is partially shut down again, taxpayers who call the IRS with tax questions may expect significantly longer hold times, and walk-in tax assistance centers may be closed. The Tax Cuts and Jobs Act made a lot of changes to the tax code — many of which directly affect the amount of money individual taxpayers owe. When you look at the top 10 ways the new tax law affects taxpayers, you’ll notice some changes that might reduce the amount you pay in taxes, such as the increased standard deduction and the expanded child tax credit. You’ll also see changes that might increase the amount you pay in taxes, such as the eliminated personal exemption and the cap on the amount of state and local tax you can deduct from your federal return. The more you know about how the new tax law will affect your 2018 taxes, the better prepared you’ll be for your 2018 filing. You can also use what you learn to plan for 2019; knowing that many retirement fund contribution limits have been increased, for example, might encourage you to save more for retirement. 2018 tax filers get a higher standard deduction than they’ve received in previous years — in fact, it’s nearly doubled. If you’re Single or Married Filing Separately, your standard deduction went from $6,350 to $12,000. Married Filing Jointly couples get a standard deduction increase from $12,700 to $24,000. This means you might want to think twice before itemizing your deductions. Although many of us carefully save our receipts from charitable donations, medical expenses, and more, we might be better off taking the standard deduction. Some of us will be able to tell at a glance whether our potential itemized deductions exceed the increased standard deduction and whether that means we should go ahead and itemize our deductions on our tax return. Other people might need a little extra help. 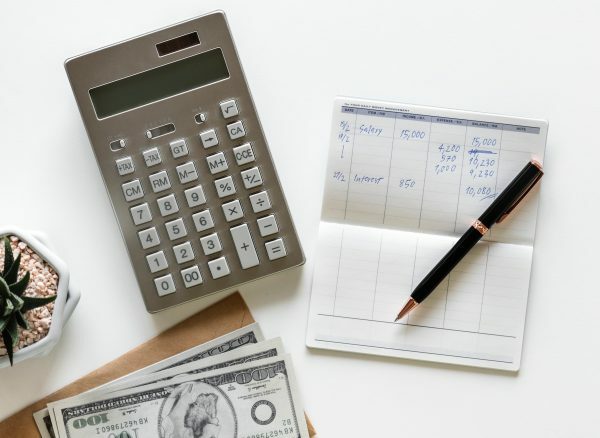 When you use TaxAct to do your taxes, it will do the calculations to determine whether you’re better off itemizing or taking the standard deduction — so you’ll know exactly which deduction plan is best for you. If you do plan to itemize your deductions on your 2018 taxes, be aware that some deductions are no longer available. Here are just a few examples: you can no longer deduct moving expenses when you relocate for a job, you can’t deduct interest on a home equity loan, and you can’t deduct alimony payments that result from divorces settled after 2018. In many cases, the increased standard deduction will balance out the deductions you can no longer claim. However, it’s a good idea to review the list of eliminated deductions and learn how to save money in these areas, especially as we move into 2019. People planning to relocate for a new job, for example, used to have an incentive to spend money on the move — after all, many of those expenses were tax-deductible! Now that the tax deduction is gone, it’s smarter to economize your moving expenses and keep more of your dollars in your pocket. Many 2018 tax filers will pay a smaller percentage of their income in taxes, thanks to the Tax Cuts and Jobs Act’s tax bracket adjustments. The lowest tax bracket hasn’t changed, so people will still pay a tax rate of 10 percent on the first $9,525 of taxable income if Single/Married Filing Separately and the first $19,050 of taxable income if Married Filing Jointly. However, the percentage rates on higher tax brackets have dropped; taxpayers now only owe 12 percent (formerly 15 percent) on income between $9,526–$38,700 if Single/Married Filing Separately and $19,051–$77,400 if Married Filing Jointly, and most subsequent tax bracket rates are also lower than they were in 2017. Drop your income into a tax bracket calculator to learn how the new tax brackets might affect you. Remember that each percentage rate only corresponds to the income within that bracket; if you are Married Filing Jointly with $20,000 in taxable income, for example, the first $19,050 will be taxed at 10 percent and the remaining $950 will be taxed at 12 percent. If you’re a W-2 employee, you probably signed up to have money withheld from your paycheck. That money goes directly to the IRS and helps cover your tax burden — and all those withholdings are one of the reasons why many employees get a refund when they complete their tax returns! Like many other aspects of the tax code, the withholding structure changed as a result of the Tax Cuts and Jobs Act. You may want to submit a new W-4 form to your employer and adjust your withholdings for the 2019 tax year, especially if you start doing your 2018 taxes and it looks like you had too much money withheld from your paycheck. Getting a big tax refund is great, but so is having a little more money in every paycheck. If you didn’t withhold enough money in 2018 and find yourself owing additional money on your tax return, you should also consider adjusting your withholdings. You can quickly update and print your W-4 form through TaxAct, so make this the first step in getting ready for your 2019 tax return — because even though 2019 has just begun, it’s never too early to start preparing for tax season.